Grew Up… in the beautiful city of Norwich, England. Although he was bullied when he was a schoolboy (they called him “Smelly Alan Fartridge”), he seems to have regained at least a bit of his self-confidence – and then some. Living… at the Travel Tavern hotel after his wife Carol has kicked him out of the house. Life at the hotel isn’t so bad, though. At least they have a lovely “all you can fit on a plate” breakfast deal. Relationship Status… separated from his wife. Carol left Alan on Christmas Eve for her personal trainer, of all people. It’s no bother if she wants to be with that idiot. At least, that’s how Alan insists he sees it. Challenge… getting back on TV at any cost. Alan craves attention, and Radio Norwich doesn’t exactly provide the audience size that his vast ego desires. In the meantime, he’s fine spending his time drinking cappuccinos at the local petrol station and chatting with his inferiors. Personality… vain, insecure, and incredibly rude. Alan likes nothing more than winning. He ends every self-aggrandizing story he tells with, “Needless to say, I had the last laugh.” The fact is that Alan’s career and life have fallen on hard times, but he is convinced that this slump is a mere pit stop on the way to the top. 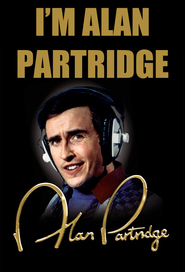 Alan Partridge's popularity ranking on CharacTour is #4078 out of 5,000+ characters. See our top-ranked characters and read their profiles.